"After the Show" by Sandy Young. Mixed media with kiln-formed glass. 30" x 40" x 3"
Sandy Young was one of 7 award recipients out of a pool of 1500 for her art piece “After the Show” at the exhibition”Memory and Perception” at the Marin Museum of Contemporary Art. Art critic Alan Bamberger juried the national show and presented awards at the show opening on Nov. 17. Sandy’s art “After the Show” received an honorable mention. Alan Bamberger is an internationally known art consultant, writer, and art reviewer located in San Francisco, CA. He has been actively involved with art for over 40 years. His reviews of gallery and museum shows are eagerly anticipated. His writings include hundreds of syndicated columns, articles and three books. “Memory and Perception” includes 49 diverse art pieces and runs November 17 through December 23, 2018 at the Marin Museum of Contemporary Art. The Marin Museum of Contemporary Art is located at 500 Palm Drive, Novato, CA, 94949. Hours are Wednesday through Friday: 11am -4pm, Saturday and Sunday: 11am to 5pm. Phone: 415.506.0137. 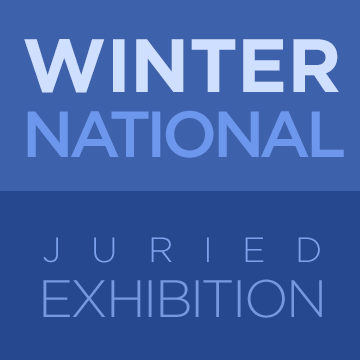 Sandy Young’s art will be part of “Memory and Perception”, Winter National Juried Exhibition at the Marin Museum of Contemporary Art. Sandy’s mixed media piece “After the Show” was juried into the show by Art Critic Alan Bamberger from a national pool of entries. “Memory and Perception” runs November 17 through December 23, 2018 at the Marin Museum of Contemporary Art. There will be an artist reception from 5pm to 7pm on November 17, with a Juror Talk at 4:30pm. The juror for this show, Alan Bamberger is an internationally known art consultant, writer, and art reviewer located in San Francisco, CA. He has been actively involved with art for over 40 years. His reviews of gallery and museum shows are eagerly anticipated. His writings include hundreds of syndicated columns, articles and three books. The Marin Museum of Contemporary Art is located at 500 S. Palm Drive, Novato, CA, 94949. Hours are Wednesday through Friday: 11am -4pm, Saturday and Sunday: 11am to 5pm. Phone: 415.506.0137. Sandy Young’s mixed media art with kiln-formed glass overlay will be on view at Parkpoint Health Club in Sonoma through June, 2018. 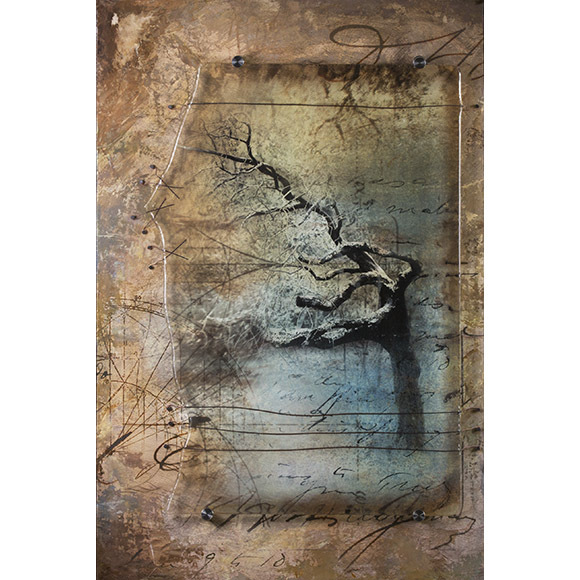 On display are over a dozen dimensional wall-hung art pieces featuring glass, imagery, wire and painting. A reception for the artist will be held on Friday May 4th from 5-7 pm in the Parkpoint lobby. Visitors and members are encouraged to view the art in the lobby and throughout the main areas of the club. Best times for viewing the art are when the club is slow. Mid-day or late evenings during the week, or afternoon to evening on the weekends are recommended. The Parkpoint Health Club is located at 19111 Sonoma Hwy, Sonoma, CA 95476. Hours are 5 am to 10 pm Monday though Thursday, 5 am to 9 pm Friday, and 7 am to 7 pm on weekends. Phone: 707-996-3111. The smoke has cleared –quite literally, and I can now hold an “Open Studio” event in my Sonoma Studio. October fires in the area kept roads closed near my studio until recently. A date has now been set for Sunday, Nov. 12 when my studio will be open from 3-6pm. Please stop by to see my mixed media art from my ongoing series as well as new work in my “Being” series. Enjoy art, conversation and wine on Sunday, Nov. 12, anytime between 3pm until 6pm. I look forward to seeing you. Studio Location: 50 Lichtenberg Ave., at HWY 12, Sonoma., CA 95476. Upstairs. No elevator. My Open Studio Event originally scheduled for October 22 will be postponed to an as yet undetermined later date. Area fires throughout Sonoma and Napa Counties, although now mostly contained have burned over 150,000 acres and continue to burn, leaving the air smokey and some roads closed. Fortunately, my studio and home were not touched by the fires. There are still road closures near my studio and areas where evacuation orders are still in place. My heart goes out to those who have lost homes or otherwise been heavily impacted by these fires. I’m opening my Sonoma Studio for the second and last time this year! On Sunday, October 22, my studio will be open from 1:00 to 5:00 pm. On display will be work from my various mixed media series, including my newest work focused on the concept of “Being”. This newest series of work combines kiln-formed glass and mixed media as with my previous series. However, most of these pieces are abstract and feature one or more porcelain figures (1860′s found objects). In addition, I have some mixed media assemblage pieces in this series. These works will be displayed alongside my other dimensional artworks in my working studio. Open Studios provide a great opportunity for visitors to see me in my working studio, discuss art, and gain insight into my work. I look forward to the connections and conversations. If you’re in the Sonoma area, I hope you can stop by for some wine, conversation and art. My studio is located at 50 Lichtenberg Ave. at Hwy. 12 in Sonoma. (Second floor, no elevator). Sandy will be exhibiting mixed media art at the Sausalito Art Festival over Labor day weekend. Save the Date! Fine art, music, food, and wine come together Labor Day weekend for one of the most prestigious art festivals in the country. The Sausalito Art Festival, America’s Premiere Waterfront Art Festival, is held annually on Labor Day Weekend. The 65th Annual Sausalito Art Festival will be held September 2-4, 2017 in Sausalito, CA. Saturday, September 2, 2017 - 10 a.m. to 7 p.m.
Sunday, September 3, 2017 - 10 a.m. to 7 p.m.
Monday, September 4, 2017 - 10 a.m. to 5 p.m.
Sandy opens her studio to the public for a Sunday afternoon, coinciding with the new Farmer’s Market a block down the road. Stop by to see Sandy in her studio. View her mixed media art and gain insights into her work. Sandy’s studio will be open on Sunday, July 23 from 4:00 to 7:00 pm at 50 Lichtenberg Ave. in Sonoma. The 2-story building is at the corner of Hwy 12 and Lichtenberg Ave., with access to parking from Lichtenberg Ave. Sandy’s studio is located on the second floor (no elevator access). The new Farmer’s Market at Larson Park, just down the road, will also be open from 4pm to 7pm on Sunday, July 23. The book becomes art in this unique show, featuring over 150 original book art objects, donated by many generous community-minded Bay Area artists. The book arts will be on view during a Silent Auction for five weeks, closing with a Live Auction on May 20th, 5-8 pm, where they are auctioned off to the highest bidder. Come out and support Marin MOCA’s biggest fundraiser of the year! Sandy Young’s contribution “Write your own Story” was awarded “Third Place” by this year’s juror Mary Austin, Co-Founder of the San Francisco Center for the Book.